Very Good. In Geography and Trade Paul Krugman provides a stimulating synthesis of ideas in the literature and describes new models for implementing a study of economic geography that could change the nature of the field. Trade paperback (US). Glued binding. 156 p. Gaston Eyskens Lectures. New. 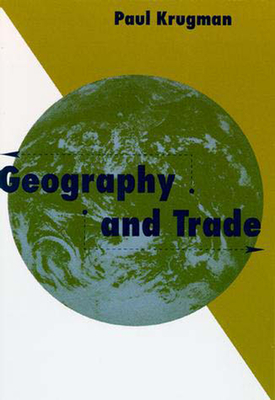 In Geography and Trade Paul Krugman provides a stimulating synthesis of ideas in the literature and describes new models for implementing a study of economic geography that could change the nature of the field. Series: Gaston Eyskens Lectures. Num Pages: 156 pages, 13. BIC Classification: KCA; RGCM. Category: (P) Professional & Scholarly; (UP) Postgraduate; (UU) Undergraduate. Dimension: 204 x 136 x 12. Weight in Grams: 196. 1992. 1st. Paperback.....We ship daily from our Bookshop. New. Trade paperback (US). Glued binding. 156 p. Gaston Eyskens Lectures.